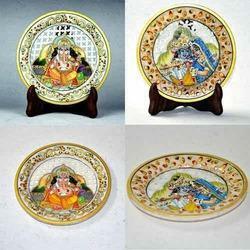 Our product range includes a wide range of marble plate with rajasthani miniature painting of krishna, revolving ganesha statue, marble carving hand painted marble tray, ganesha puja thali of various designs, marble carving handpainted marble dry fruit serving tray and religious painting on marble plates - desk decorative. 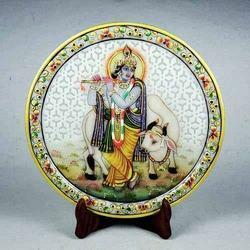 By utilizing skills of our dexterous workforce, we are offering a quality assured array of Marble Jali Plates with Rajasthani Miniature Paintings. 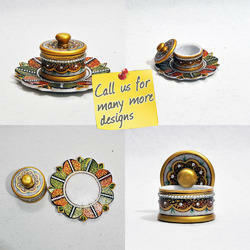 The provided products are checked before delivering to customers in order to ensure its flawlessness. 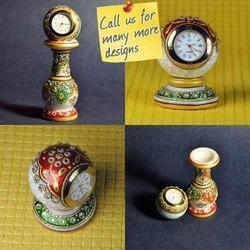 These products are designed by our craftsmen with top class marble & best stone finishing tools. 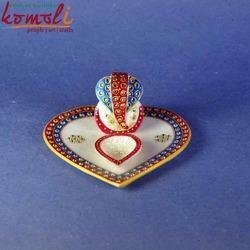 Provided products are available from us in customized options as per the market preferences. 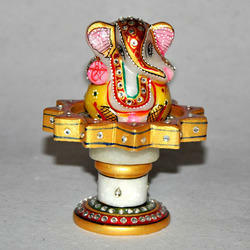 Our organization is recognized in the industry for offering an interesting assortment of Marble Ganesha Statue & Idols - Hand Painted & Studded. 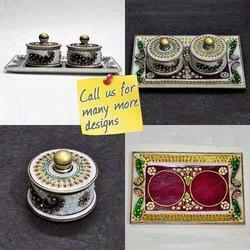 Our offered product is design using premium quality marble & best stone finishing tools. 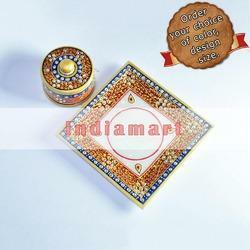 This product is widely demanded by our customers due to its best finishing. 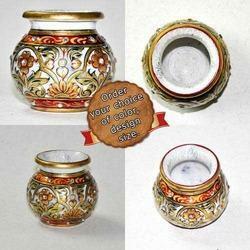 In addition, we are benefiting our customers by providing this product in customization options. 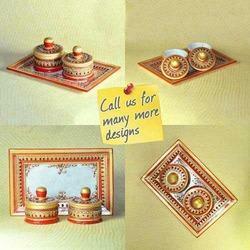 Customization of Designs & colour pattern possible.